Fitting A Dining Space In The Kitchen | What Are Your Options? 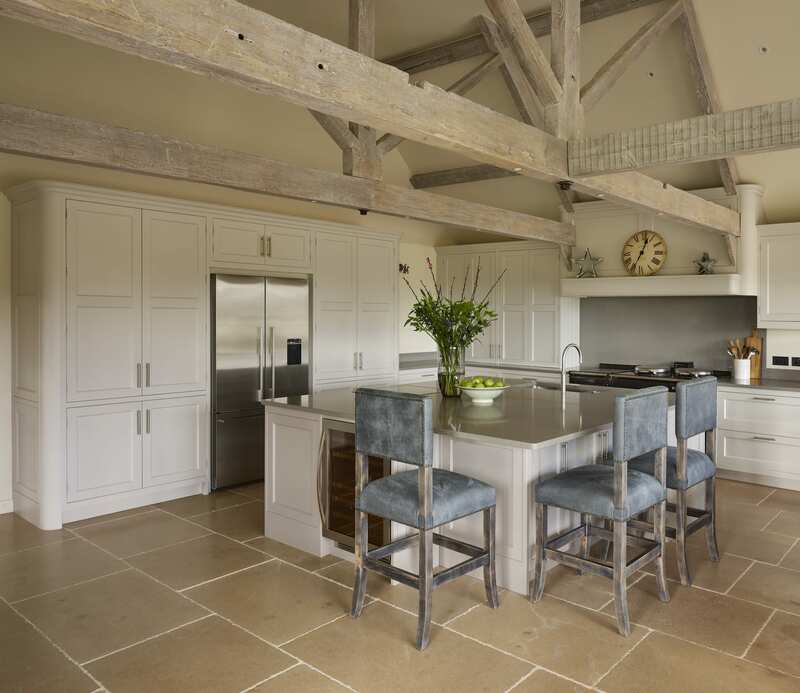 A breakfast bar on a kitchen island or peninsula is a very common feature in the twenty-first century kitchen. Whilst its name suggests its use for one meal a day, there’s no reason a breakfast bar shouldn’t used for brunch, dinner and supper! The breakfast bar’s informality is both its biggest asset and its greatest downfall. Ideal for busy couples enjoying a late night bite and glass of wine, it’s not a very practical option for family meals due to the lack of ‘table space’ and their generally restrictive seating layout. 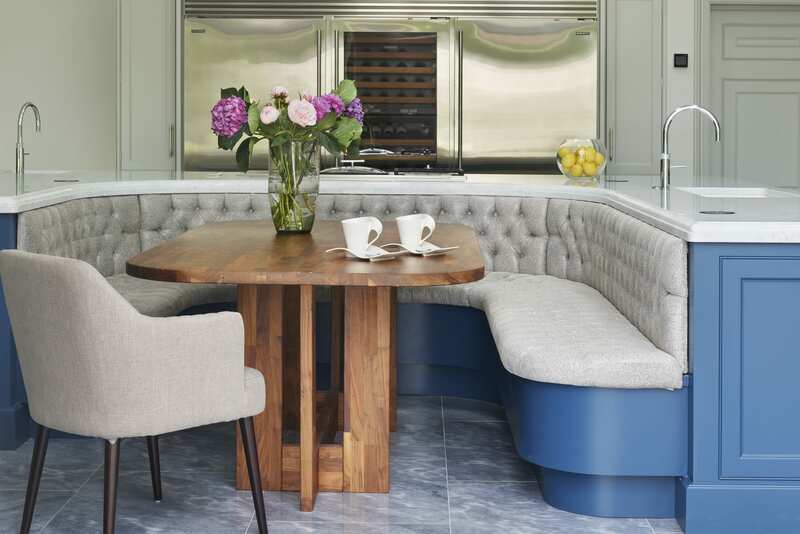 A circular, or unusually shaped breakfast bar gives it a more sociable feel which is great for informal meals, and it doubles up as the ideal spot to enjoy a coffee whilst you catch up on emails. 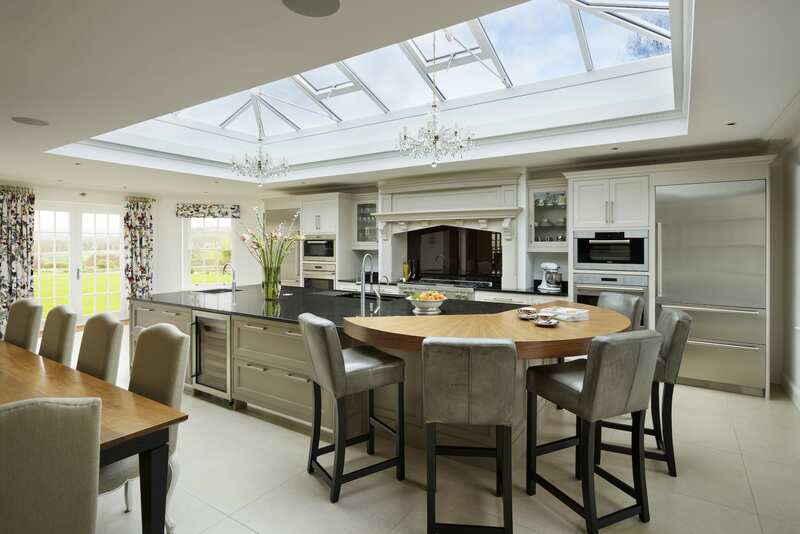 If your room is large enough to allow for your dream kitchen plus a separate dining table, this may be your best option. By having the dining table separate to the main kitchen, it allows for clear division between the cooking and dining spaces. This is particularly ergonomic for hosting dinner parties, when you don’t want your primary cooking area to be interrupted by guests. 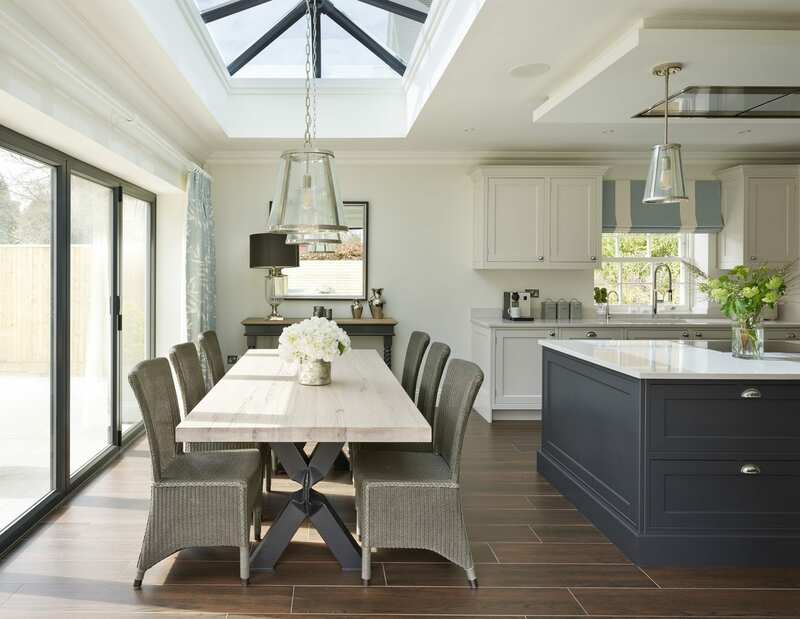 The potential draw back of a traditional dining table in the kitchen is the space required to make it work. However, if your space is on the slightly more limited side, a separate dining table with a bench seat running along a wall helps to and confine the dining area to one distinct zone. If budget and space allow, banquette seating is the ultimate dining option for your luxury kitchen. 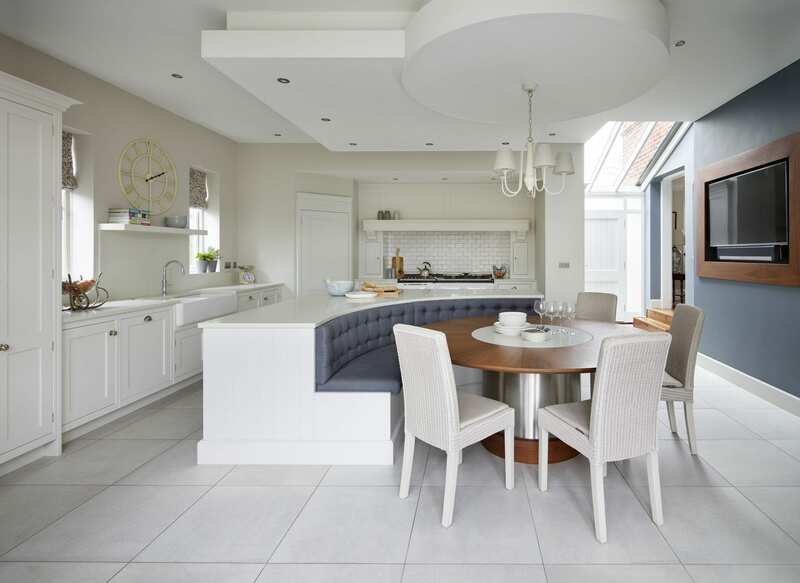 Banquette seating is where a bench seat is incorporated into the design of the kitchen island, with a dining table and additional seating then added. 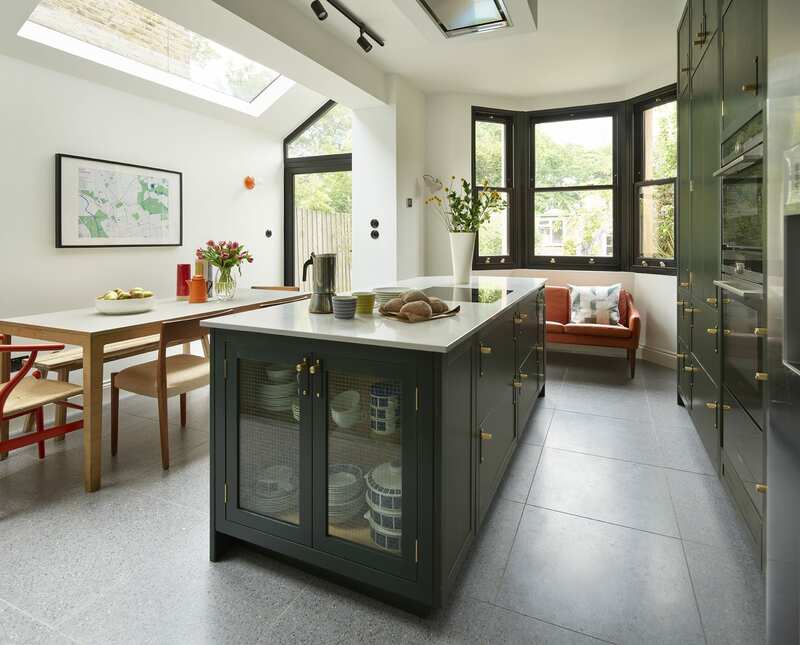 Under-seat storage can be factored into the design of the banquette seating, incorporating extra storage into your kitchen design without complicating the room’s design. 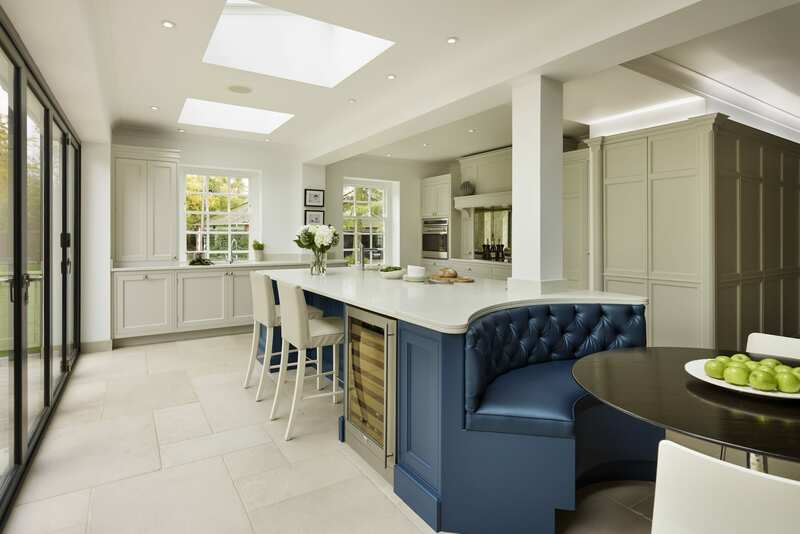 The bespoke nature of Davonport kitchens enables us to design the banquette seating specifically for you and your needs. Whether that’s curved or straight, large or small, banquette seating can be designed to seat 10+ people as your main dining table, or 2 or 3 for smaller occasions. The downside of banquette seating, when designed with a larger bench, is that you have the issue of having to ‘file in’ and ‘file out’. However, this problem is avoided on smaller banquettes, and the benefits of banquette seating in the kitchen far outweigh this minor downside. 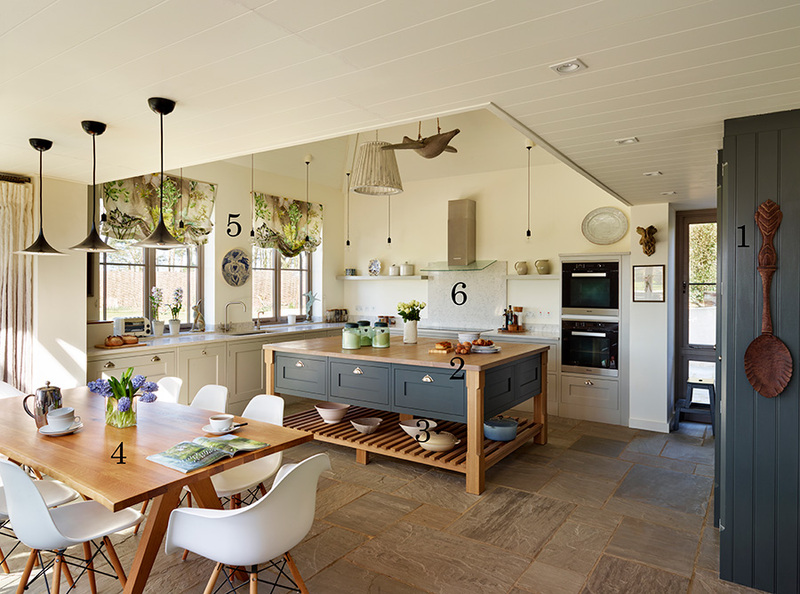 So if you’re looking to include a dining area in your new kitchen, you’re not alone. 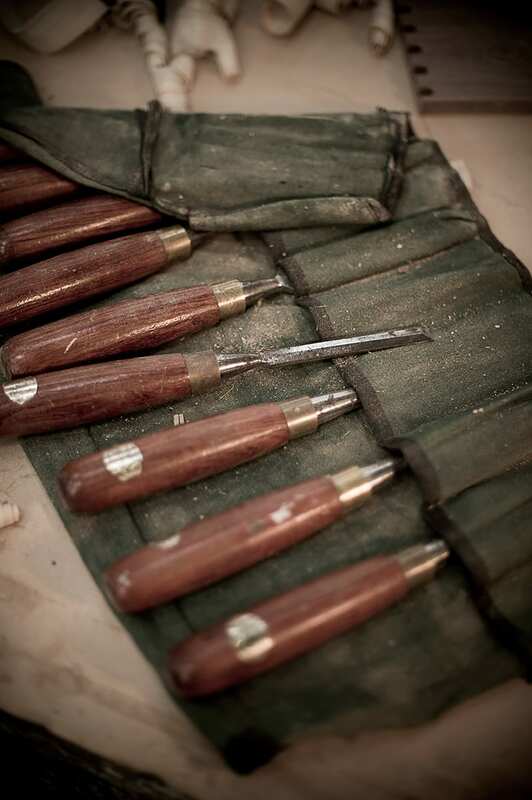 Contact us today to see how our design team can help to realise your vision. 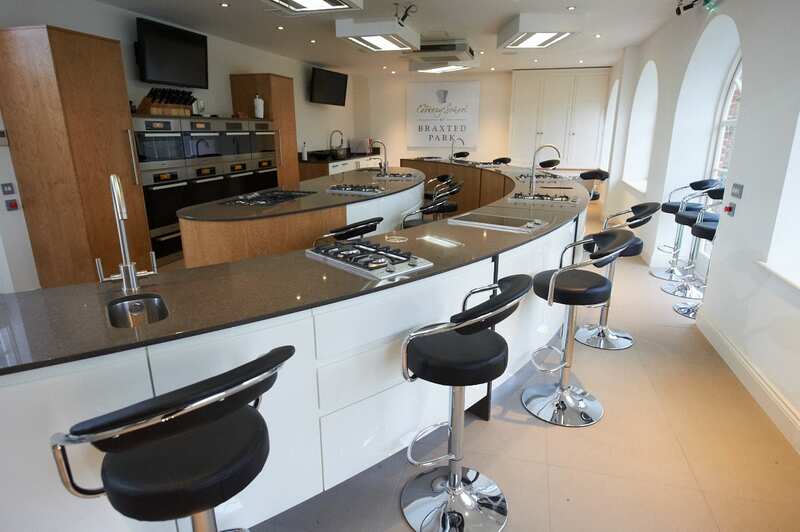 Braxted Park Cookery School, located just 10 miles away from our showroom and workshops in Essex, this well established cookery school boasts an array of courses run by a selection of award-winning professional chefs. One such class is the Moroccan Feast Cookery Course, so here’s some background on what to expect. Sign up for our newsletter to receive all the latest news from Davonport.